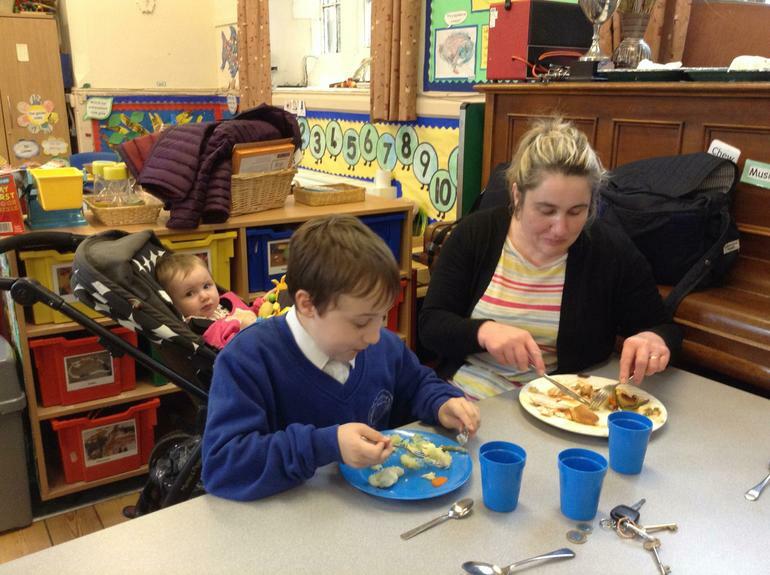 KS2 Parent Lunch: Roast Dinner Day! 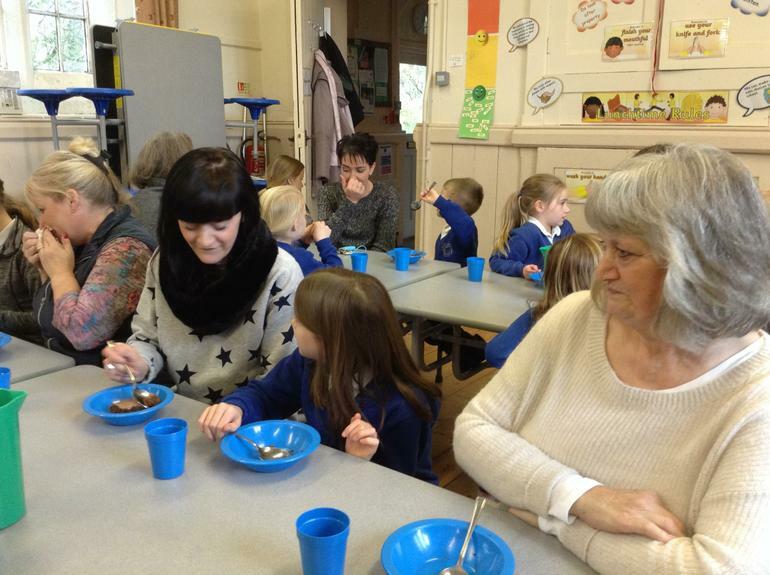 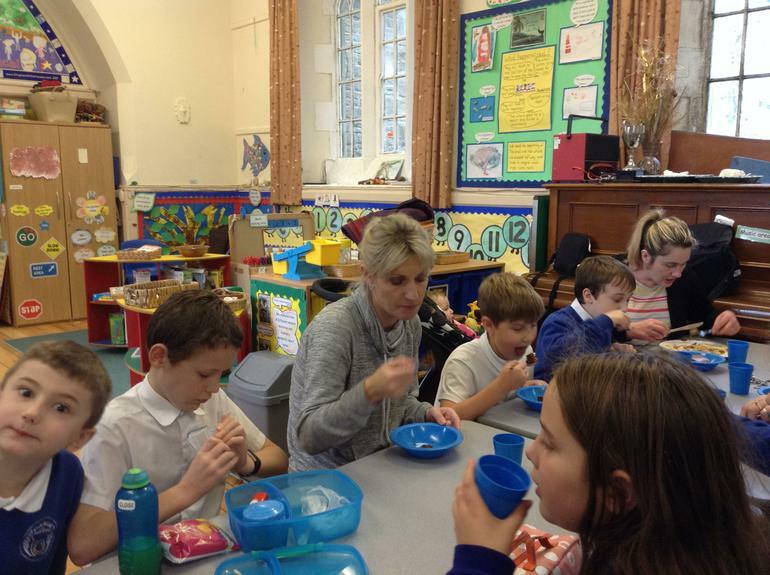 On Wednesday 14th November KS2 parents visited school to sample a wonderful school lunch prepared by Mrs Wildman. 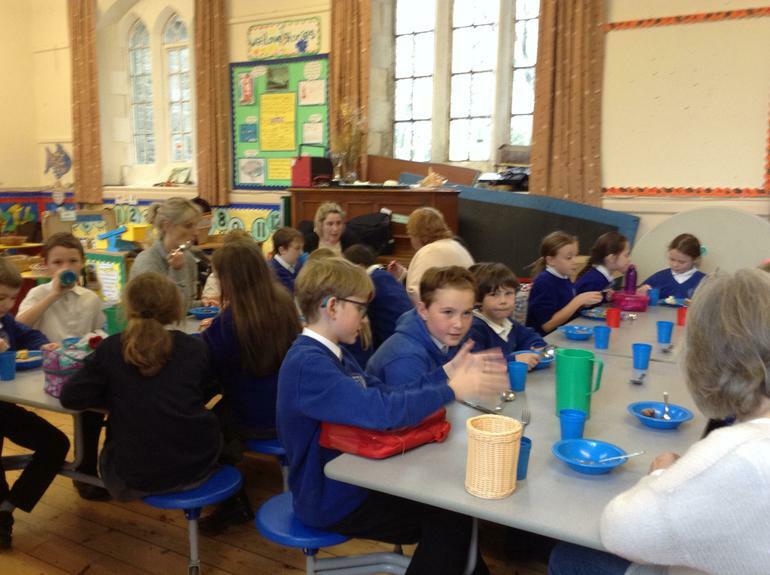 It was a busy social occasion and everyone enjoyed the lovely roast chicken with all the trimmings! 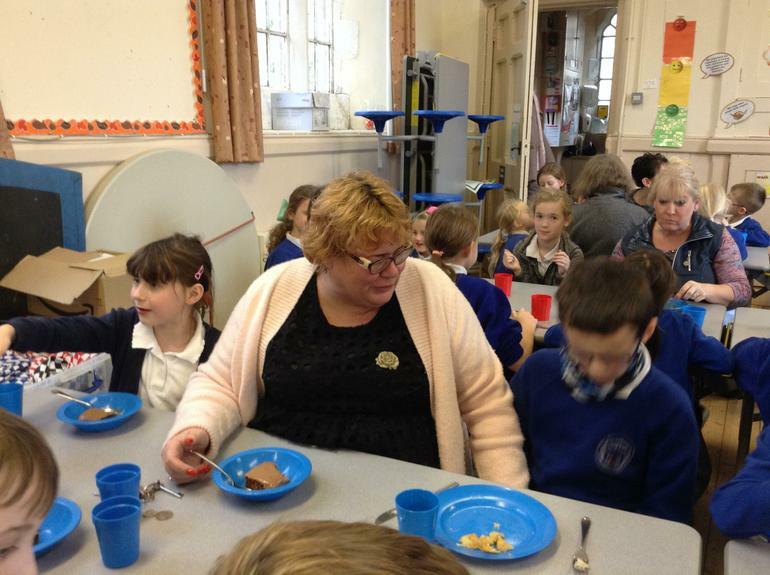 Mrs Wildman did a fantastic job of catering for all our guests and her efforts were much appreciated by children and parents alike. 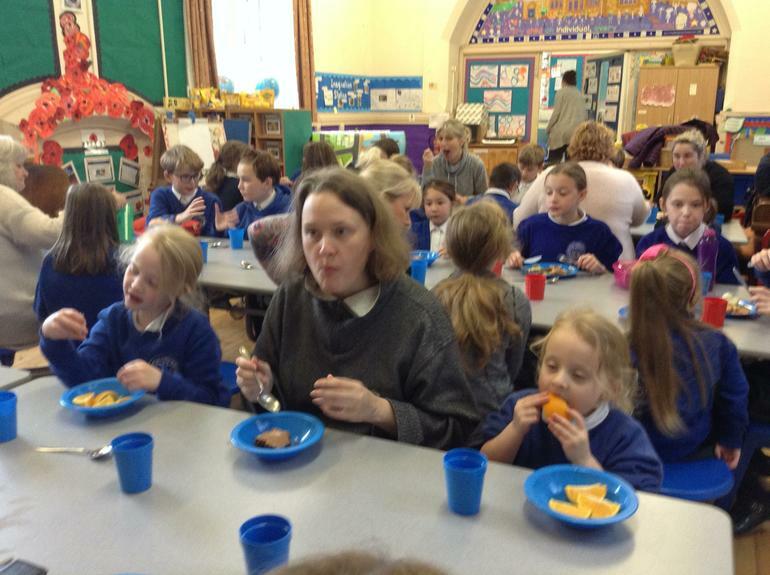 It was great to welcome our parents to share lunchtime with us.